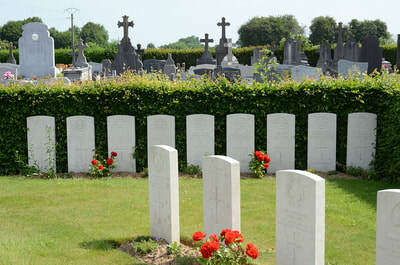 Hebuterne is a village 15 kilometres north of Albert (Somme) and 20 kilometres south-west of Arras. Using the D919 from Arras to Amiens, you will drive through the villages of Bucquoy, Puisieux then Serre Les Puisieux (approximately 20 kilometres south of Arras). On leaving Serre Les Puisieux, 3 kilometres further along the D919, turn right following the signs for Hebuterne. 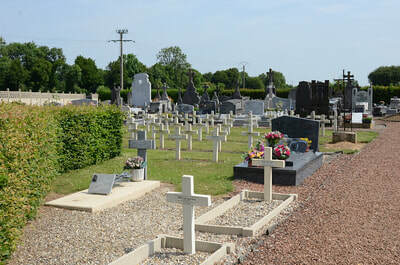 On arrival at Hebuterne, immediately on the right hand side is Hebuterne Communal Cemetery. 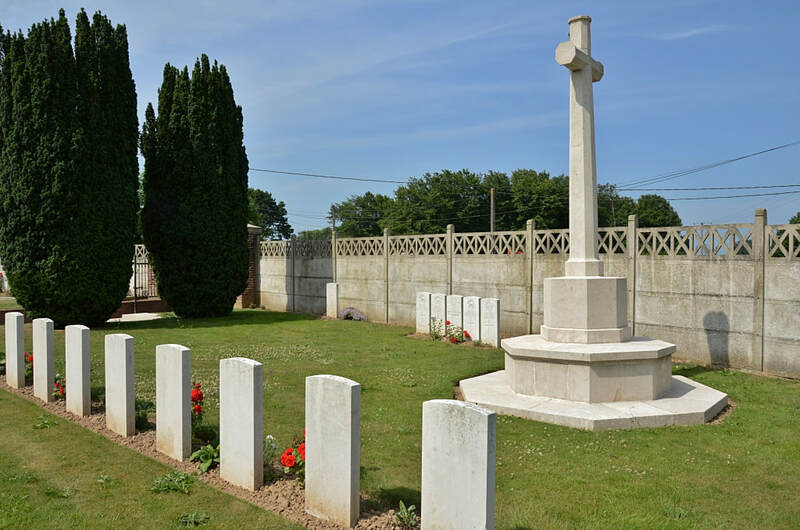 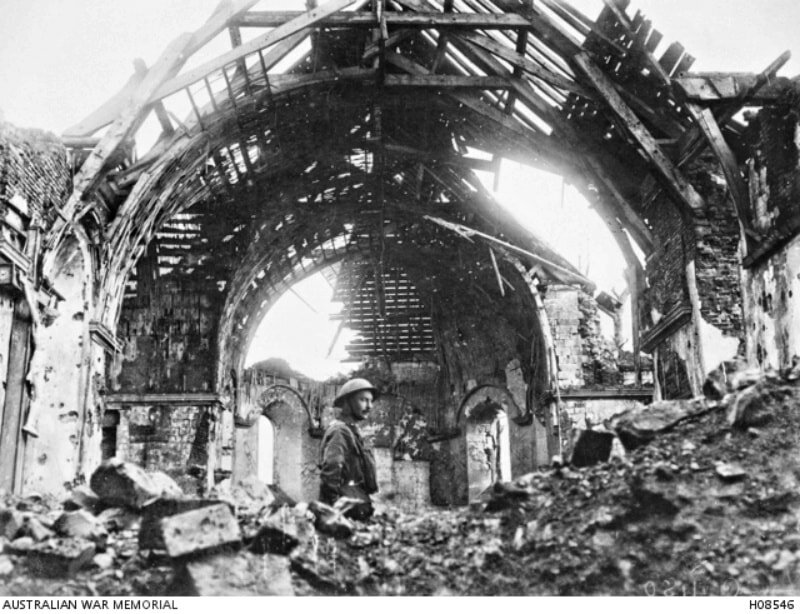 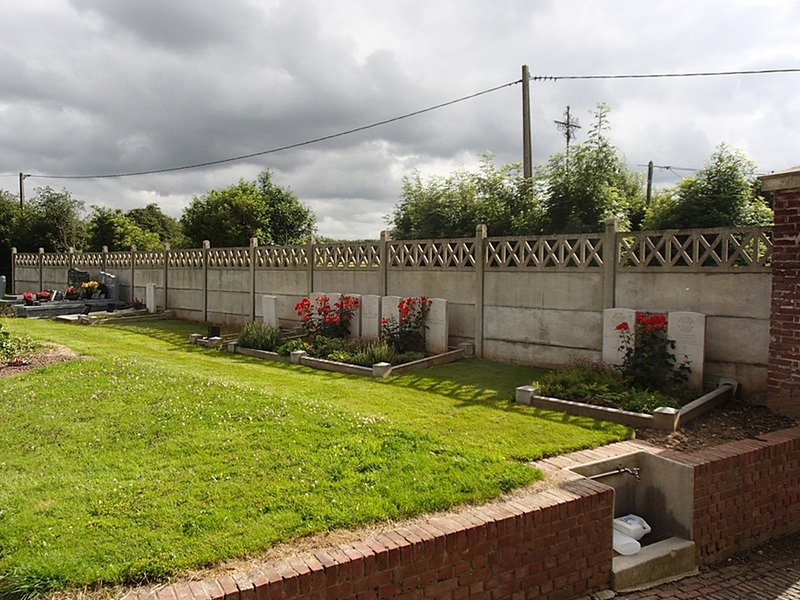 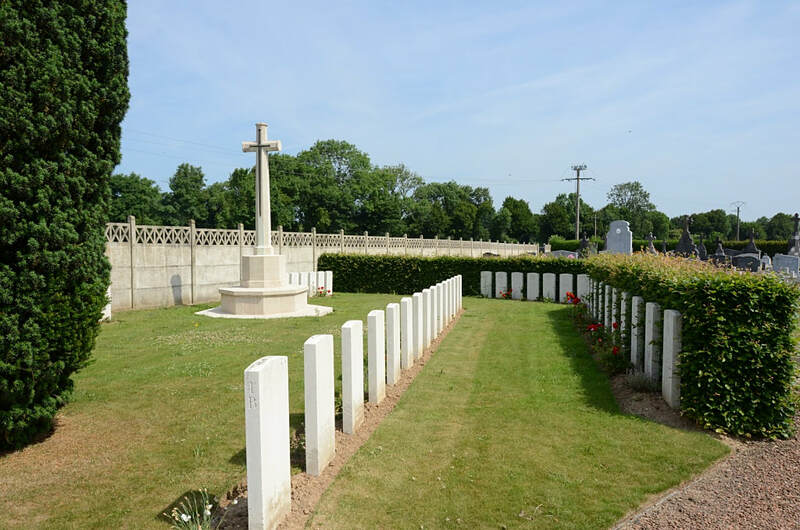 Hebuterne was taken over by Commonwealth forces from the French in the summer of 1915 and it remained vulnerable to shell fire during the 1916 Battle of the Somme. 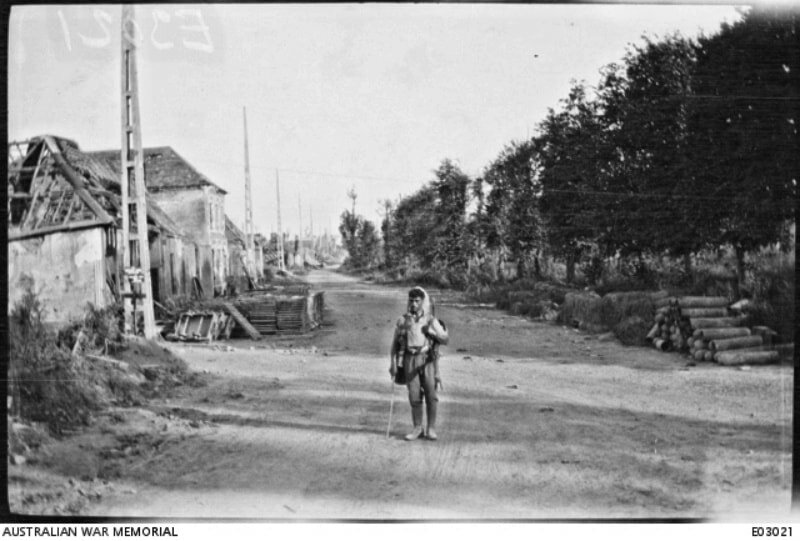 It was again the scene of fighting in March 1918 when the New Zealand Division held up the German advance and during the following summer, the village was partly in German hands. 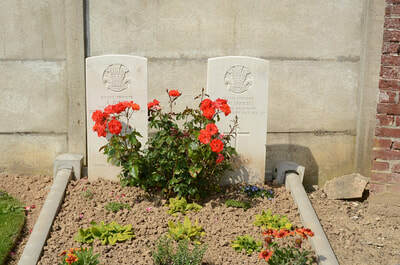 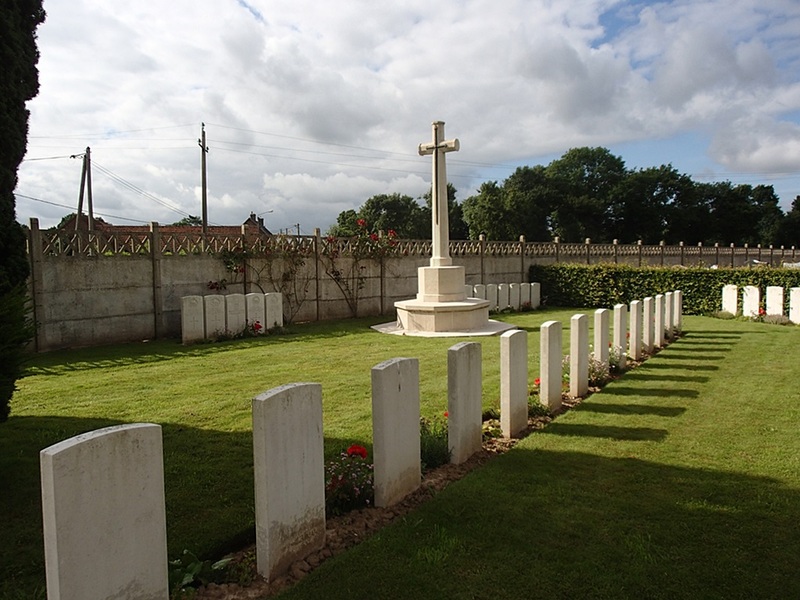 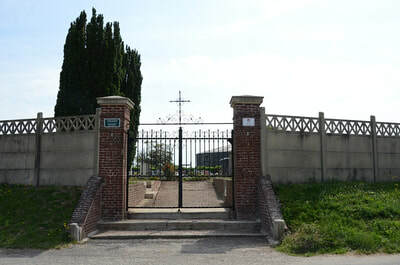 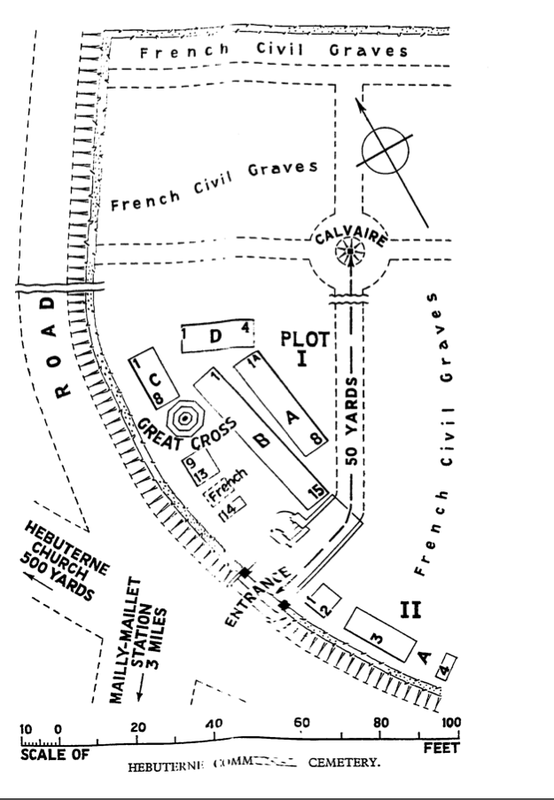 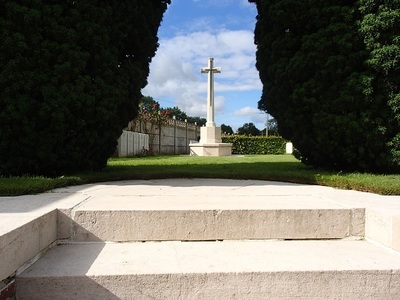 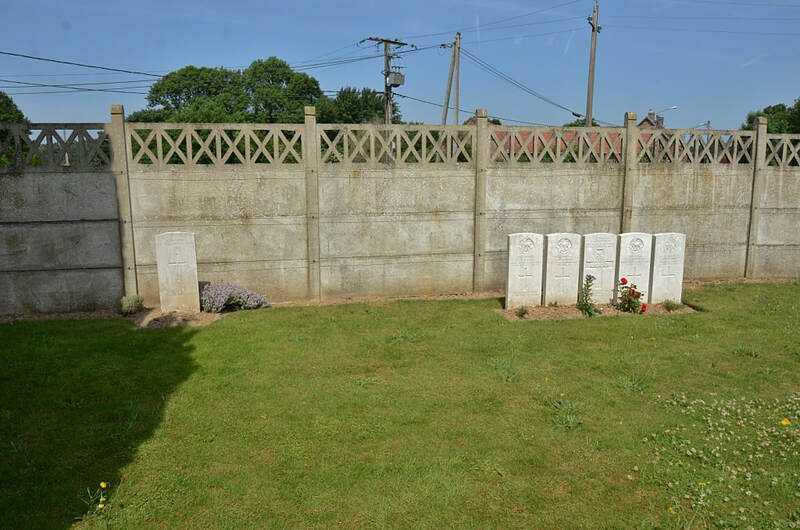 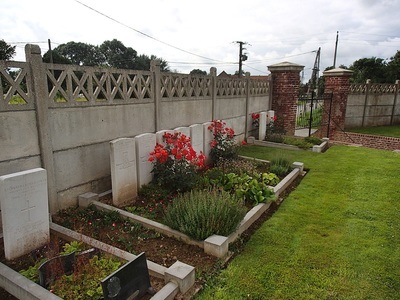 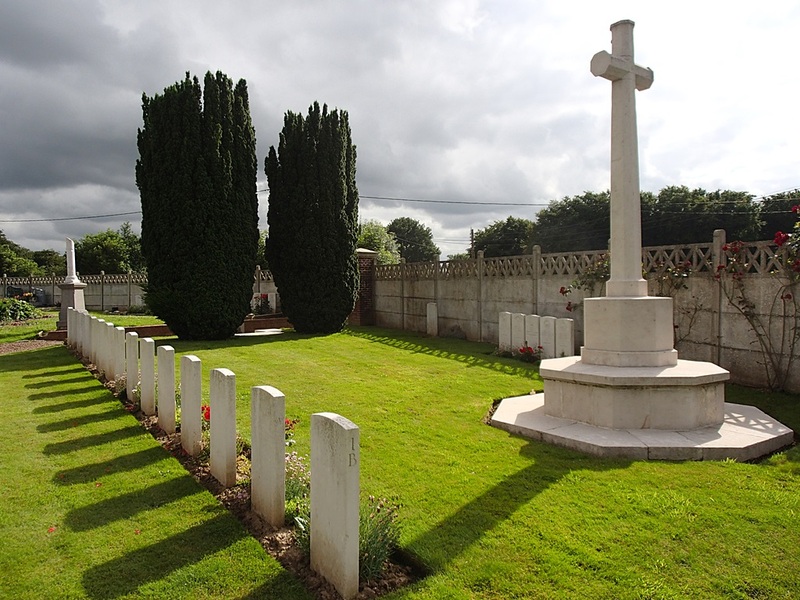 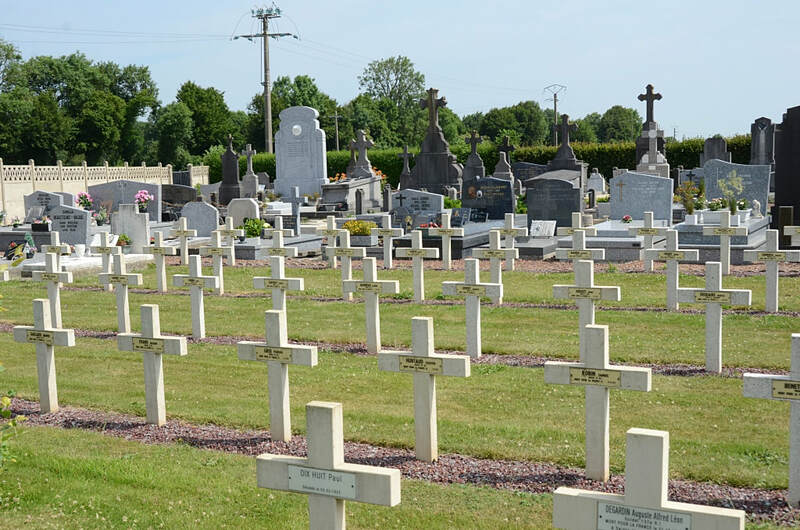 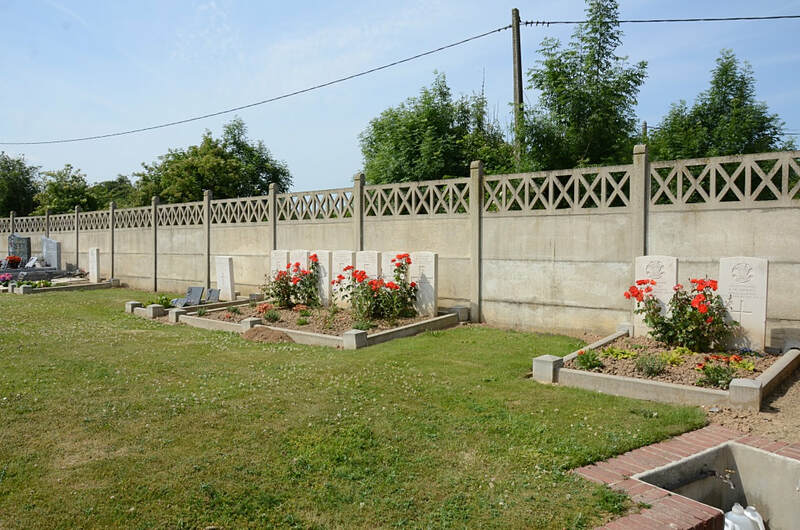 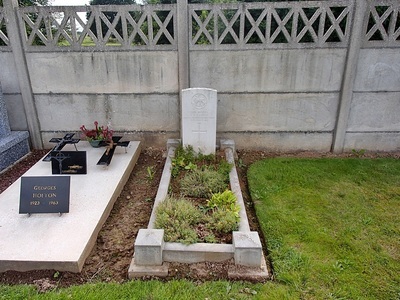 The communal cemetery contains two plots of graves, mainly of the 20th (Light) and 31st Divisions. 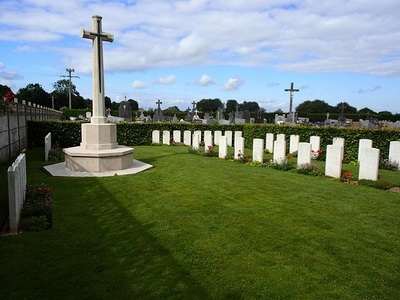 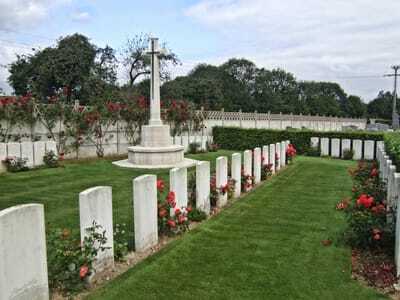 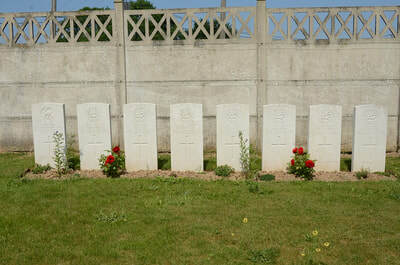 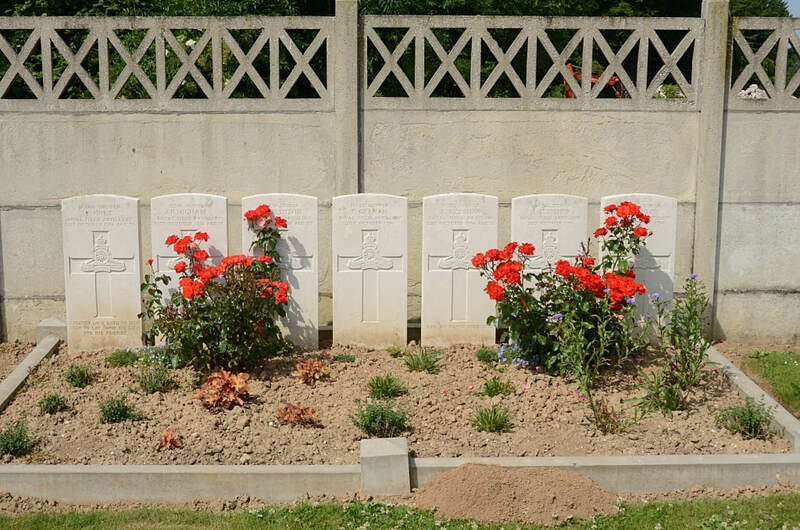 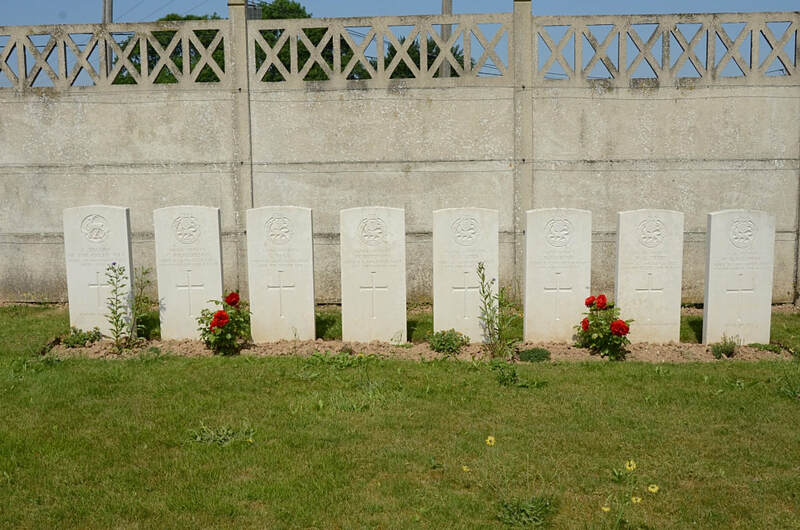 There are now 58 First World War burials in the cemetery, six of them unidentified. 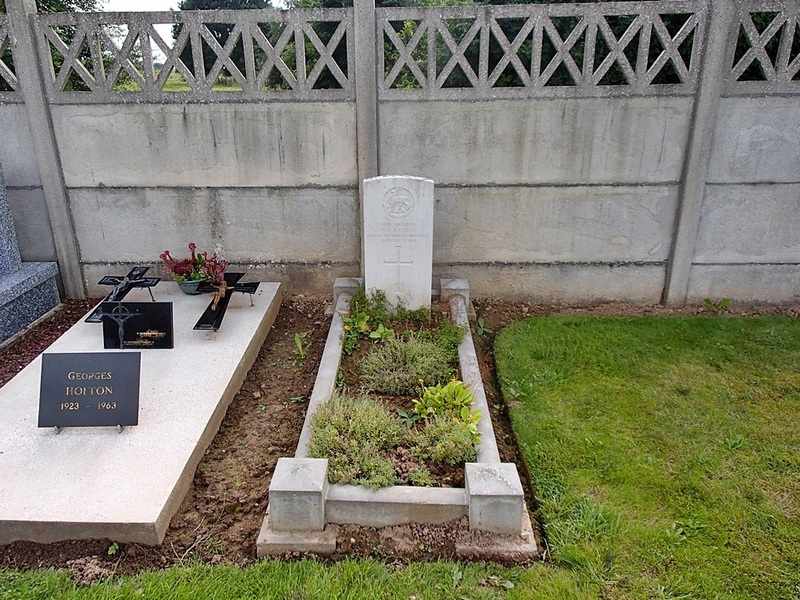 8th August 1916, aged 32. 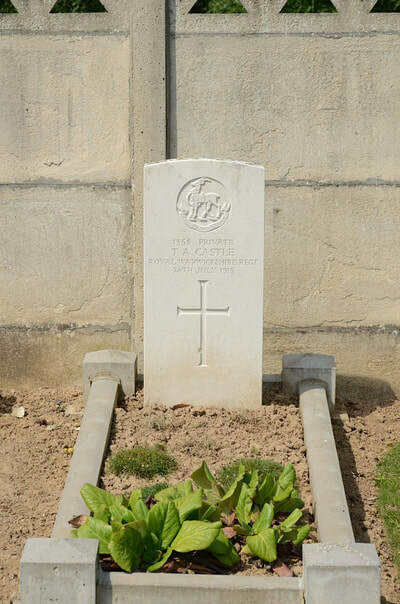 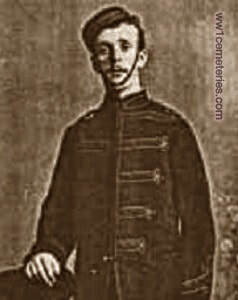 Son of George and Catherine Gillespie, of 44, Earle St., Barrow-in-Furness. 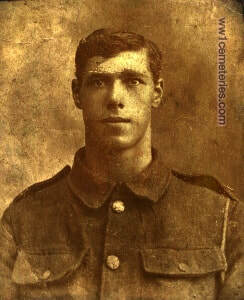 8th August 1916, aged 22. Son of John and Isabella Thorne, of 269, Waterside, Chesham, Bucks. 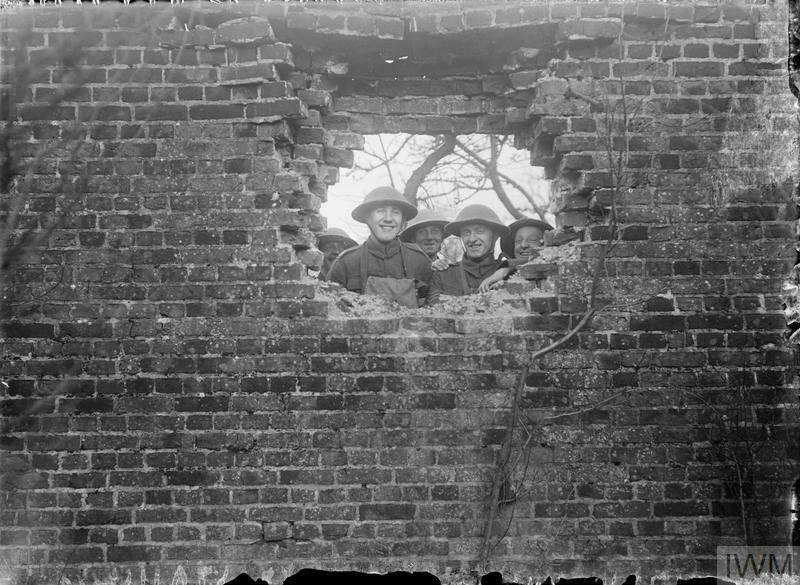 April 1918; Unidentified members of a raiding party of "A" Company, 16th Battalion, A. I. F., after a successful raid. 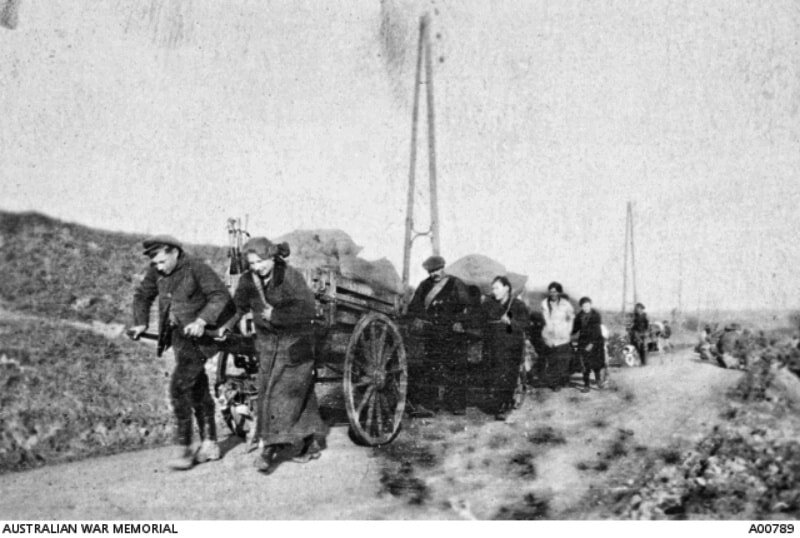 The three men in the foreground are wearing bags containing gas masks around their necks. 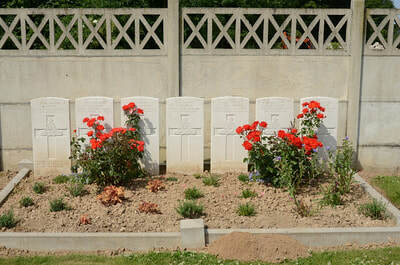 Attached to the bags are replacement carbon cylinders for the masks. 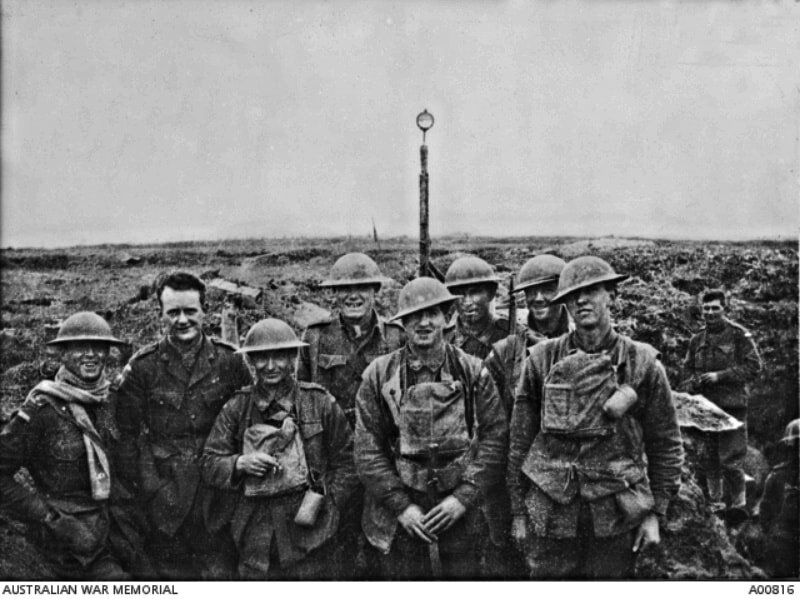 An improvised light is on a pole behind the men. 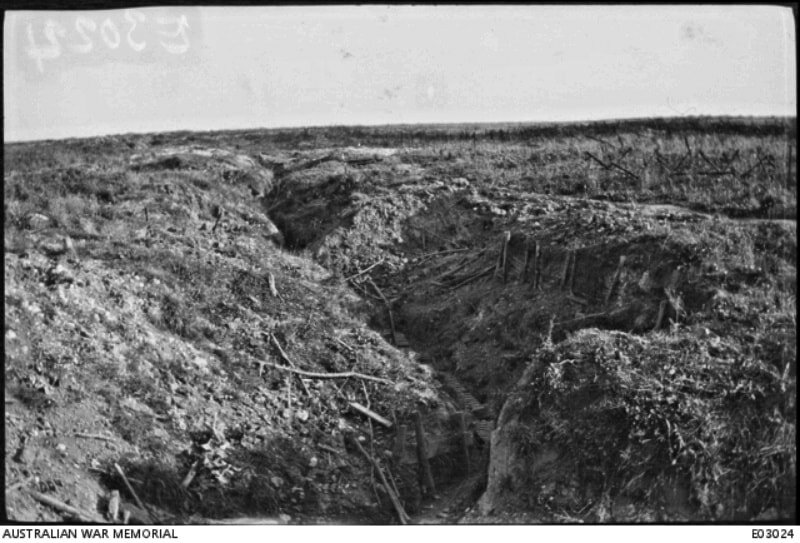 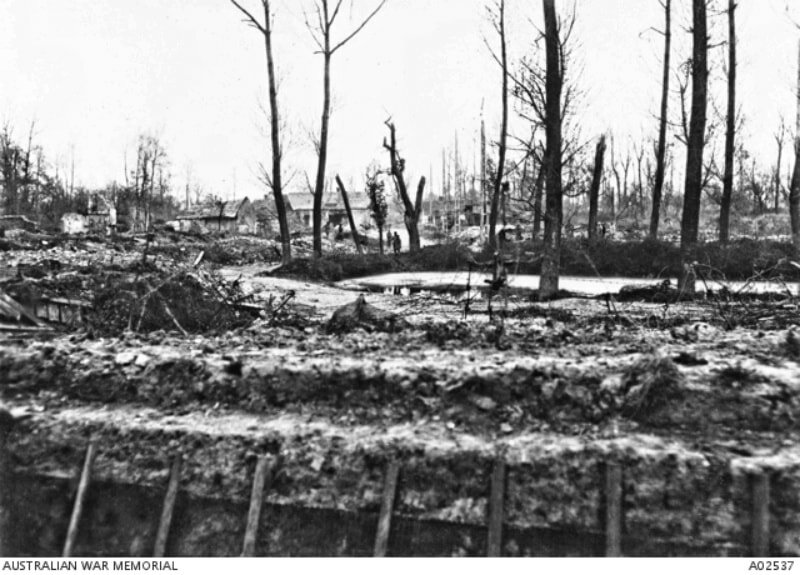 A view of Nameless Trench, a scene of severe fighting and heavy casualties at the end of March 1918, when the 4th Australian Infantry Brigade was detached from the Australian Corps and hurriedly thrown in with a British Division to check the German advance on this sector.